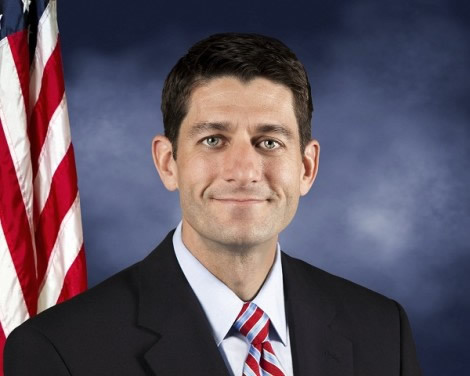 Paul Ryan’s Budget: The Path To Prosperity? After months on the campaign trail, Presidential-hopeful Mitt Romney finally announced his selected running mate last Saturday: Congressman Paul Ryan of Wisconsin. Based on the incessant news coverage of the last few days, it seems that Ryan is notable for two things: first, his avid devotion to the P90X workout routine and second, his controversial budget proposal. While the first point is remarkable, I think we’ll find a lot more for discussion embedded in the second topic. So what exactly does Ryan’s budget include? Democrats denounce it as an evil roadmap designed to strip the poor, the elderly, and the working American of their economic security, while Republicans tout it as the best formula for balancing the budget by 2040, eliminating government excess, and bringing America back towards fiscal responsibility. Which is it? Perhaps both are true, but let’s take a closer look. As chair of the House Budget Committee, Ryan has prepared the Republican proposed budgets for the past two years. His most recent budget released in March 2012 is known as The Path to Prosperity: A Blueprint for American Renewal, and it’s precisely this budget that has stirred the waters of partisan politics. The proposal operates from the assumption that the current growth trajectory of America’s federal debt is unsustainable. To clarify, the term “federal debt” includes both debt held by the public and debt held by the federal government—and every year, that number swells. In Fiscal Year 2011, the federal debt grew to another new high of $14.8 trillion, an increase of $1.2 trillion dollars in just one year—and we can only expect those numbers to grow. Incidentally, this is the most federal debt the US has experienced since World War II. Moreover, it appears that our debt has increased by higher increments under President Obama than any other President. Ryan and a host of other politicians have recognized that this growth is unsustainable. If you, as an individual or a nation, continue to spend more than you make, you will certainly meet financial ruin—Wilkins Micawber, the enduring character in Dicken’s David Copperfield experienced this simplified reality at an individual level, as did Margaret Thatcher at the national level. It seems most people understand this budgetary truth, and it’s about time that someone in Washington recognized it as well. All that to say, Ryan’s budget plan intends to reduce the annual federal deficit, eliminating federal debt by 2040. Pretty ambitious. How does he do it? Simply put, he says that we will cut federal spending. Tangibly, that entails putting a cap on discretionary federal spending (discretionary spending includes things like the FBI and FDA) so that is halved in the next ten years; keeping defense spending flat; consolidating income taxes into two brackets, which inevitably would raise taxes for some and lower taxes for others; converting Medicare into a premium support, voucher-type program; redefining Medicaid commitments contingent on the performance of the individual enrolled; reforming and cutting existing welfare programs; and blocking farm subsidies. To learn more about Ryan’s budget, you can read the proposal, follow along on CS Monitor’s budget summary, or watch this video from Congress. Admittedly, it is possible that Ryan’s budget will negatively impact the poorer people in this country by reforming welfare, Medicaid, and other assistance-based programs. Even so, it can be argued that those programs have grossly impacted the ability of said people to work towards a place free from government assistance. Regardless, that isn’t an argument to resolve here—the point is, perhaps we have a choice to make. I believe that it is time that we started to address our mounting federal debt, and even if Ryan’s plan isn’t a perfect solution, at least he’s trying to solve the problem.